Take a peek below to discover some playful, cactus DIY projects that we promise are easy as pie (read: even we can do them. That’s saying something). They’re a great way to save some cash and add your own personal touch to your wedding day. DIY place card holders via Oh Happy Day. DIY Christmas tree cactus via Sugar & Cloth. 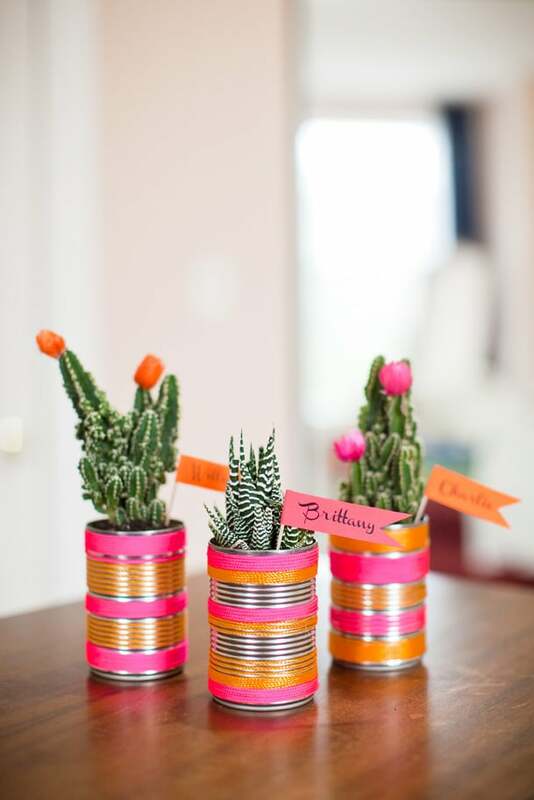 DIY cactus favours via Wedding Obsession. Mini cactus piñata via Oh Happy Day.